Bismarck — The State Board of Higher Education announced recently they will be filming a new reality television series in an effort to fill vacant staff positions. Titled, “The Chancellor”, the show will be filmed in the previous Governor’s Mansion in Bismarck. 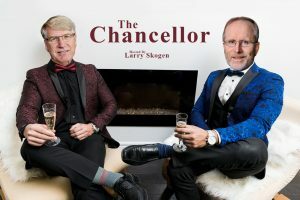 Contestants will live at the mansion as they interact with State Board of Higher Education Chancellor Mark Hagerott as they compete for a permanent position on his staff. 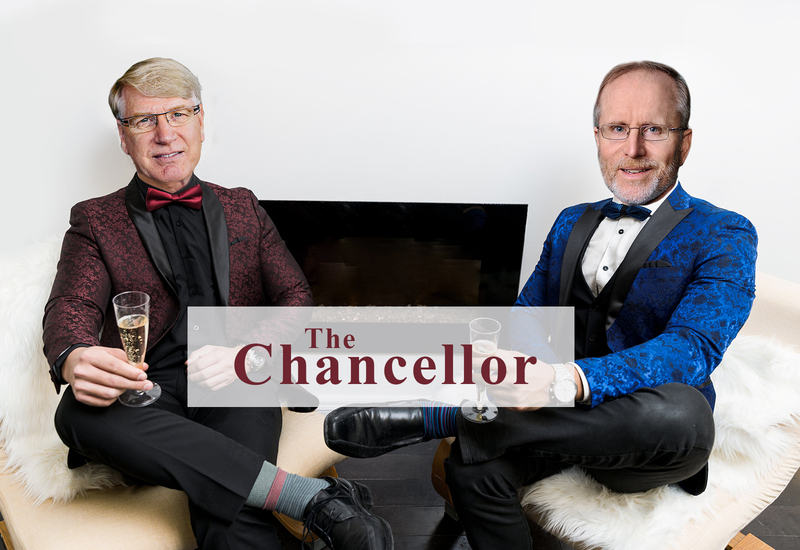 Each week, the Chancellor will select all but one contestant by handing them a diploma. The series will be hosted by former interim chancellor Larry Skogen – a close friend of the Chancellor. State Board of Higher Education Reality TV Adviser Lindsey Nielsen says she’s confident the series will be a big hit. “The Chancellor” will be filmed at the previous Governor’s Mansion in Bismarck. Contestant applicants underwent a thorough vetting process including an in-depth survey about their views on Chancellor Hagerott. In a nod to budget concerns, the series will be filmed at the previous North Dakota Governor’s Mansion, saving tax payers thousands from potential demolition costs. “I just hope they keep the music down nextdoor,” says North Dakota Governor Doug Burgum. The final three contestants will be jetted to North Dakota’s premiere luxury destination, Medora, and spend a weekend with Chancellor Hagerott.